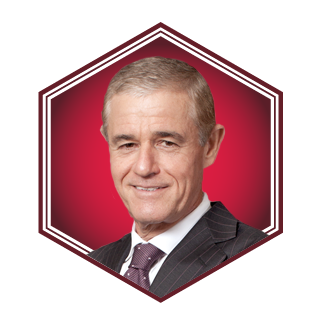 Simon Israel is the chairman of both SingPost and Singtel. The latter saw its cyber revenues amount to over $530m in FY2018. The Public Service Medal recipient is also a director of Fonterra Co-operative Group and a governing board member of the National University of Singapore Lee Kuan Yew School of Public Policy.